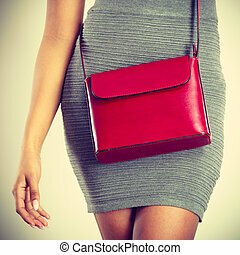 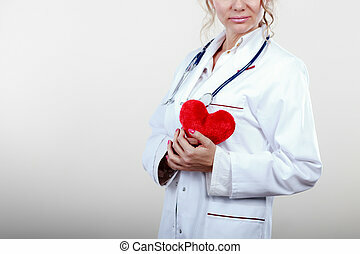 Female cardiologist with red heart. 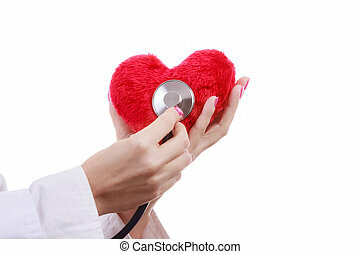 Periodic examinations. 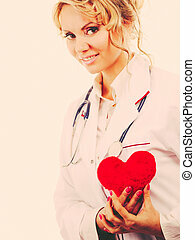 cardiology concept. 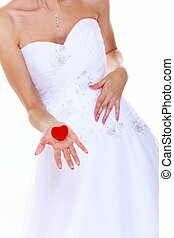 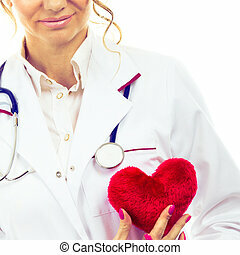 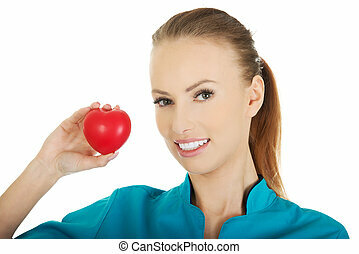 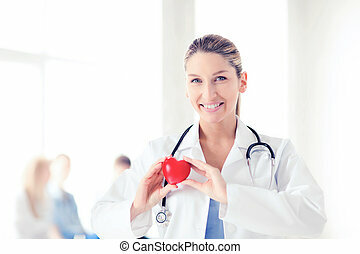 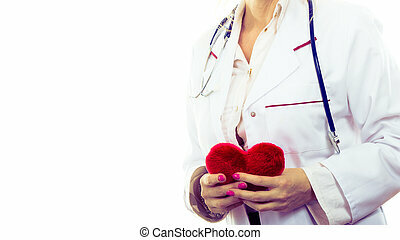 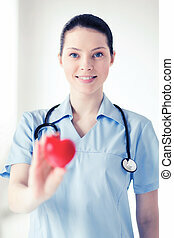 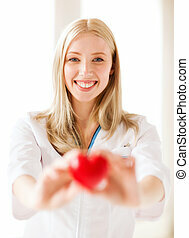 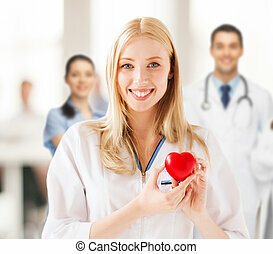 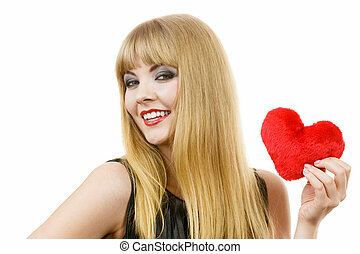 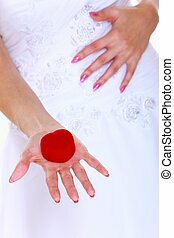 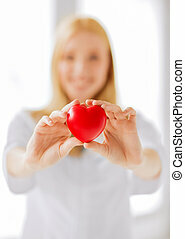 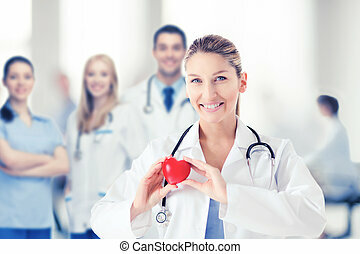 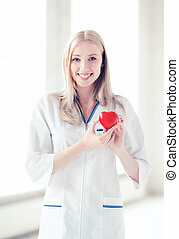 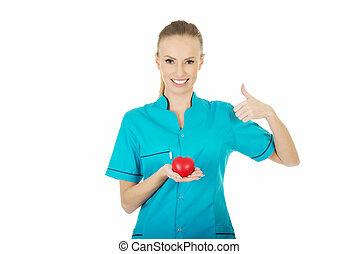 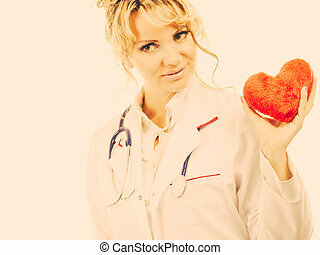 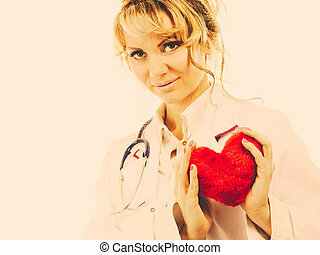 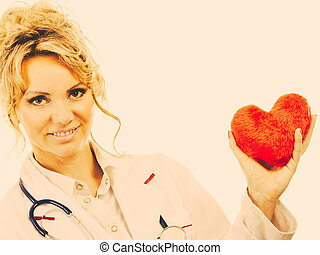 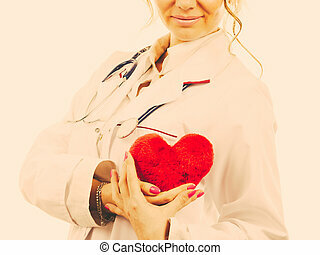 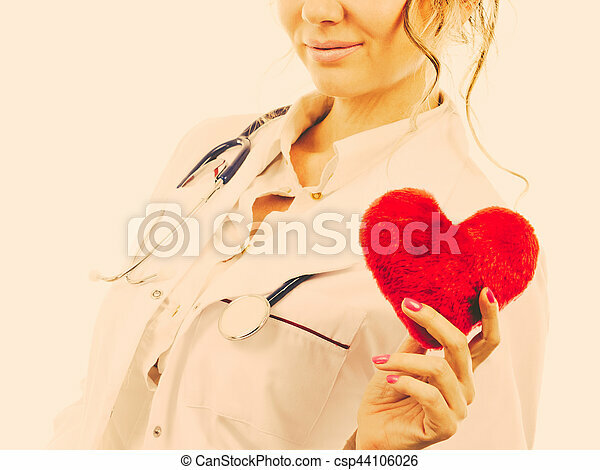 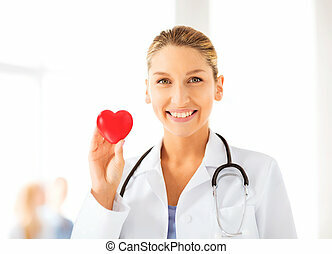 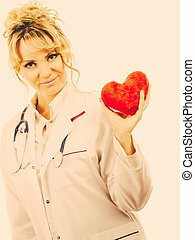 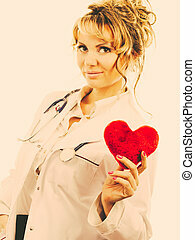 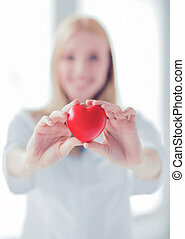 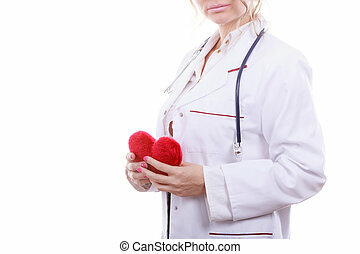 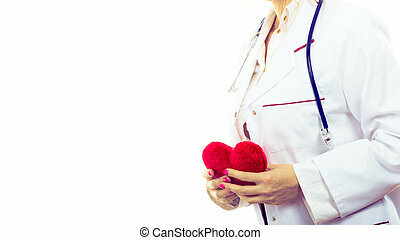 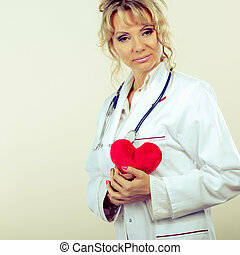 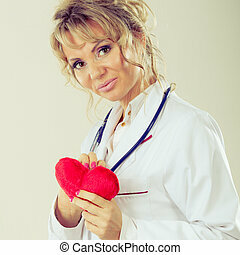 female cardiologist holding red heart. 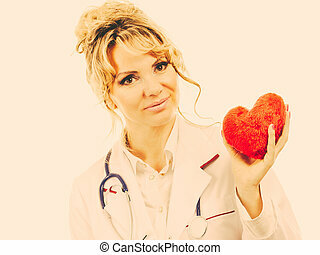 middle aged doctor with stethoscope and white medical apron uniform. 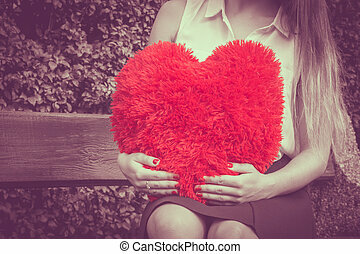 filtered.